My kids love these things. And I love them because they are so easy! There are so many things that you can do with croissants. We have stuffed them with cream cheese, string cheese, fruit filling, and I want to try it stuffed with marshmallows and chocolate. Yummmm. Things I may do differently next time: Add a little pizza sauce. Roll out the refrigerated croissants. 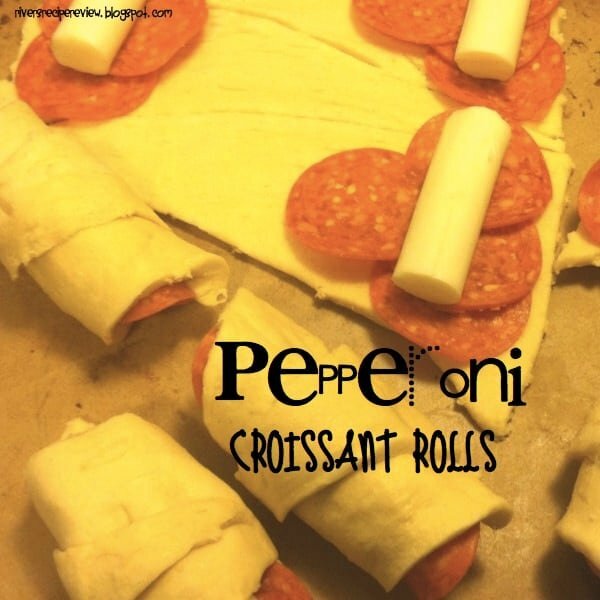 Put pepperoni and cheese on them and roll them up. Bake at 375 for 11-13 minutes. Easy huh? Oh – I really wish I had these ingredients on hand, because I would jump up and make these right now. They sound delicious.